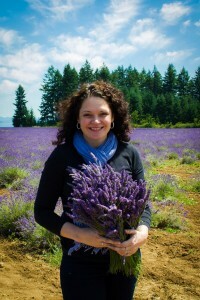 A good friend of mine in Montana introduced me to essential oils in 2008 I’ve been in love with them every since. I wanted to share with you why I love them and how you can use them in your life too. First, a quick overview of essential oils. Essential Oils are the natural oils that come from plants through a distillation process. An oil is “essential” in the sense that it carries a distinctive scent, or essence, of the plant. Humans have used essential oils since before record keeping and they are even referenced in the Bible more than 12 times. Studies have shown that odors have a significant impact on emotional states and that individual scents affect different parts of the brain. 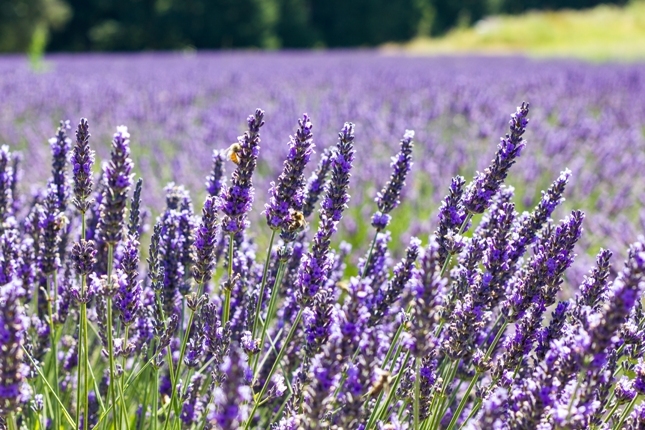 For instance, lavender affects the part of the brain commonly associated with relaxation while jasmine affects the part of the brain that affects alertness. But scent is not the only way essential oils can work on the body. Because they are plant-based, essential oils can be used in many of the same ways as herbs and other natural medicine treatments. Essential oils are made up of small molecules that enable them to penetrate the skin into the blood stream, making them ideal for topical application. If you’re interested in the medicinal applications of essential oil, I recommend the Essential Oils Desk Reference which provide a detailed guide of which oils to use. 1. In Your home: Nothing can change the feeling of a room faster than changing the smell. Diffusing a few drops of essential oil into the air makes a dramatic difference. 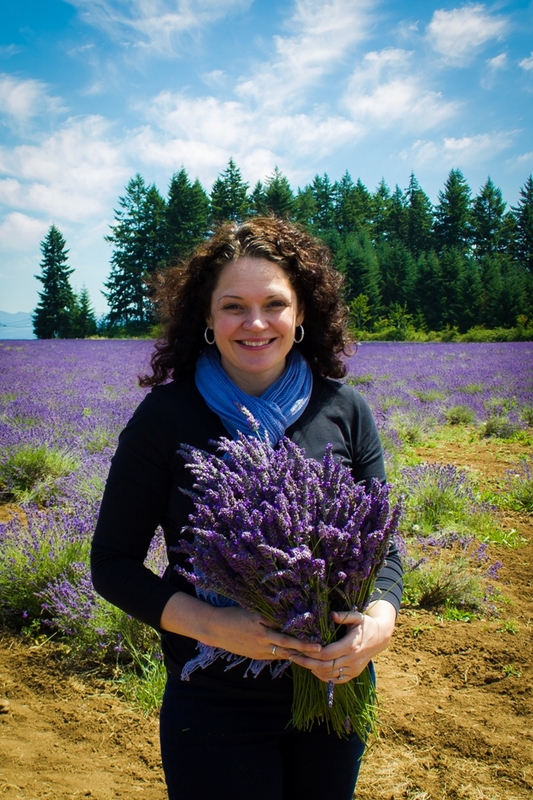 I like to use scents like Lavender, Peace and Calming, and Joy to help create a relaxed atmosphere. I also make my own air freshener by taking a tiny hard plastic squirt bottle and filling it with water and about 20 drops of lavender essential oil. This is wonderful to spray in your bedroom to help you sleep, on your sheets, or just to spray instead of traditional air fresheners. 2. For cleaning: My favorite oil for cleaning is called Thieves. It is a mixture of cinnamon bark, clove, lemon, eucalyptus, and rosemary essential oils. The name “Thieves” comes from a story about four thieves who stole from the dead and dying victims of the European Plague of the 15th century. The thieves were spice traders and able to avoid catching the plague because they covered themselves in cinnamon, clove, and oregano oil. Thieves oil is a natural disinfectant and smells great. You can mix the oil with water for a natural cleaning solution, spray on pet beds, or put a drop in your laundry. YoungLiving also makes several cleaning products made with Thieves. 3. In Your car: Because I take a lot of long road trips for my work, I appreciate the help of essential oils to help me stay alert and awake. By using citrus, lemon, or grapefruit essential oil in my car, I immediately feel more alert. You can put a few drops on a cotton ball and place in front of your car’s vent or use a special holder that is made for essential oil. I found a small, clay, ornament-style oil stone at a local store that absorbs essential oil and releases the scent as it evaporates and it’s the perfect size for my car. The essential oil also helps your car smell great without the use of potentially toxic chemicals. 6. Through Aromatherapy: or caring for the body with the use of botanical or essential oils. The oils may be added to a bath, mixed with Epsom salts, massaged into the skin, inhaled, or diffused to scent a room. Essential oils have been used in aromatherapy for thousands of years for alleviating pain, caring for the skin, relieving tensed muscles, lessening fatigue and invigorating the body with a sense of well-being. My favorite use is a few drops of essential oil directly in my bath water or mixed with epsom salts. I also love to mix essential oils with a basic massage oil for back and foot rubs or use a pre-mixed massage oil with essential oil. 7. For Exercising: Essential oils are good before a workout, during a workout, and to help soothe your sore muscles after working out. My favorite oil for this purpose is called Deep Relief. It’s a mixture of peppermint, lemon, balsam fir, copaiba, clove, wintergreen, and coconut oil. It is very soothing on sore muscles and can help you relax your muscles before a workout by massaging it into the skin. I’ve also attended some hot yoga classes that apply essential oil to the back of your neck during a workout to help you focus and be more present and it’s amazing. You can also add a few drops of peppermint oil to the arch of your feet for a quick energy boost, and your tennis shoes will stay smelling fresh in your gym bag. 8. Therapeutically: Essential oils have thousands of uses in health therapies. I don’t specialize in this area but love an oil called Di-Gize. Di-Gize is mixture of tarragon, ginger, peppermint, juniper, fennel, lemongrass, anise, and patchouli. A drop or two can be applied to your stomach to sooth your digestive system.I absolutely love it and use it a few times per week. Because it includes patchouli, my husband thinks he married a hippie-chick when I wear it, but fortunately doesn’t mind the scent. I also like to use Thieves oil in my diffuser when someone in the house is sick. Lavender oil is great for skin ailments when mixed with another oil or diluted. It’s especially great on freshly-waxed skin. *Please note, make sure you are using therapeutic-grade oils. Again, the Essential Oils Desk Reference provides a detailed guide of which oils to use. 9. To Stay Mindful of Spending: Scent can be a great tool to help trigger mindfulness in many situations. I like to use it an oil called Abundance on the inside of my wallet. The scent lasts for a few months and when I use my wallet at the store, the smell reminds me to be thoughtful about my purchases. Abundance oil is a mixture of orange, frankincense, patchouli, clove, ginger, myrrh, cinnamon, and spruce. This oil also smells great and has a variety of uses. 10. For the Holidays: Essential oils have a wide range of uses during the holidays and can help set the mood for celebration. My favorites for diffusing include pine, balsam fir, cinnamon, and frankincense. These oils can be used in potpourri, candles, soaps, or on your air filters. 12. For Cooking: Food-grade essential oils can help flavor food in delicious and unique ways or in your drinking water or smoothies to add healthful benefits. The most popular essential oils for cooking include peppermint, oregano, basil, lemon, orange, clove, and lavender. The best way to use essential oils for cooking is to dip a toothpick into the oil and let the oil drop into your food. Remember to use small amounts because the oils are so concentrated. It is important to note that not all essential oils are created equally. If you plan to ingest essential oils, make sure they are food-grade to ensure their safety. I strongly prefer YoungLiving Essential Oils because they are not only food grade, but are also therapeutic grade. The company guarantees high quality by controlling the entire process from seed to distillation and bottling. I am also an independent distributor for YoungLiving which allows me to buy my own oils at wholesale prices, a very nice perk! It also important to note that essential oils can be extremely strong and powerful so you always want to start off slowly and with small amounts, especially if you are new to the oils. What are your favorite essential oils and uses? I’d love to hear from you – share your thoughts below. DISCLAIMER: Comments on this page are not intended to diagnose, treat or cure. The comments have not been evaluated by the FDA. 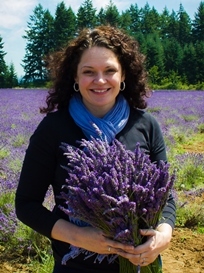 Monica is a health and wellness coach and essential oil enthusiast. She is also the author of Design Your Dream Life: See It, Plan It, Live It! Her work has appeared on Huffington Post, Elephant Journal, and on Startup Nation. Monica practices yoga, and enjoys animals, sushi, chai tea lattes, foreign films, and walking on the beach. She lives with her husband and two dogs in the fun and amazing city of Portland, Oregon. Thanks Sheri, I haven’t tried pomegranate oil but will definitely check it out. I love the meaning too! Pomegranate is a very special fruit in the middle east where I grew up – it does signify abundance and richness (not of money but of the intangibles of life) and it is the most gorgeous red color. I had no idea about the oil though 🙂 We just use it in food….! Thanks Farnoosh – I love pomegranates in food and love that they signify abundance and richness – beautiful! I was JUST thinking about how wondering it was in my hot yoga class in Tucson when my yoga instructor would rub a dab of essential oil (I think it was lavender) on my forehead during shivasana. Other times she would put a smidgen on the eye bean bags to lay over our eyes in rest positions. It’s amazing how these little things open our bodies in such great ways. While I haven’t used essential oils in quite some time, one of my favorite things to do on hot days is throw in a small bundle of earthy herbs in the car, something like rosemary or lavender on a hot day before a long drive out to the country or beach with my partner. The oils slowly dissipate in the air and leave lovely herbal lingerings for a weekend getaway drive. Thanks Kumi 🙂 I will bring you some when I see you. Such good stuff! I would be interested in the oil stone as I think that is a really good idea for in the car. Is it reusable? Or only with the same oil? I was thinking that the oil would dry up like normal and maybe the scent would be faint enough for a different oil to be added to the stone. Thank you for the great question, sorry I missed it! Yes, the stone is reusable. It looks like it’s made from some type of clay. It seems to last quite awhile in my car. Hope you are able to give it a try. I’ve had mine for a long time and am not sure who sells them. Your amazing insightful information entails much to me and especially to my peers. Thanks a ton; from all of us. Essential oils became a big part of my life!